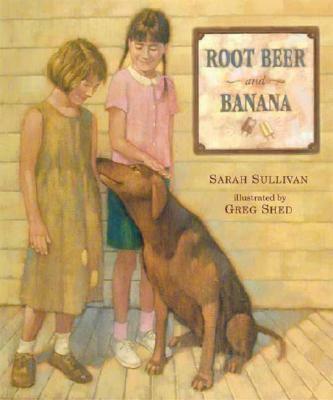 Sarah Sullivan's lyrical text and Greg Shed's warm, nostalgic illustrations lend a southern flavor to this gentle tale of friendship and small kindnesses. when I slide the door open. It's summer on the river, hot enough to melt the tar on the roof, and Squirt is happy to be at Mister Mac's General Store, where her grandfather is treating her to a cold, refreshing Popsicle. Her only dilemma is what flavor to choose — until she meets a girl named Miracle, with her brightly patched dress, who's a nickel shy of buying her own frozen treat. With some quiet help from Granddaddy, Squirt makes just the right choice and ends up with something even better than TWO Popsicles: a new friend. Sarah Sullivan received an MFA in Writing for Children from Vermont College. She writes from her home in Charleston, West Virginia, where she lives with her husband (who loves Popsicles) and her cat (who prefers ice cream). "When I was small," she says, "my granddaddy used to take me to a country store to buy Popsicles. When our family moved out west, I had to make new friends. I met a girl who offered to share her Popsicle with me, and we've been best friends ever since." This is Sarah Sullivan's first book. Greg Shed is the illustrator of many books for young readers, including DANDELIONS and THE BUTTERFLY HOUSE by Eve Bunting, I LOVED YOU BEFORE YOU WERE BORN by Anne Bowen, and HARVEST HOUSE by Jane Yolen. "Working on ROOT BEER AND BANANA," he says, "reminded me of my own childhood, and the days when my grandfather would take me fishing." This is his first book with Candlewick Press.